Dave Penland with one of his handmade bark baskets. Beech, North Carolina, 1915. 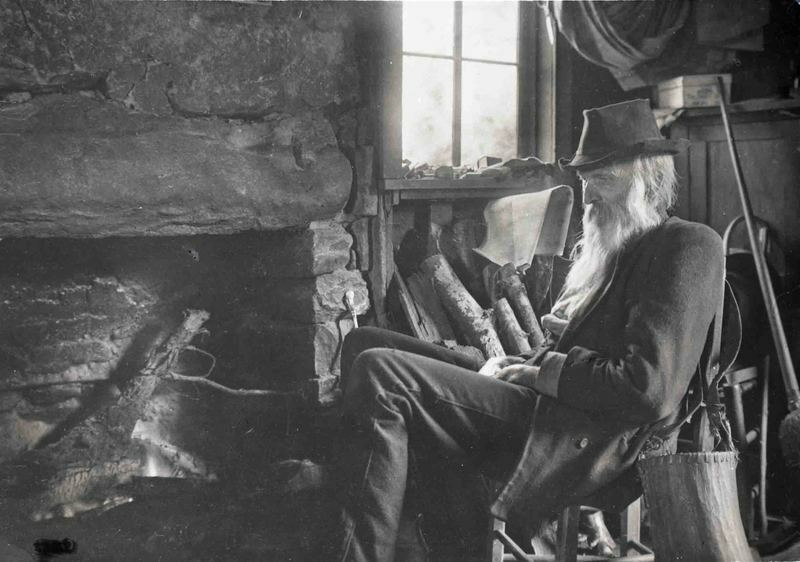 William Barnhill met David H. Penland, or “Uncle Dave Penland” as he was known, on his travels in the Beech community of Reems Creek Valley in Buncombe County, North Carolina. Born circa 1837, Dave Penland was a Confederate veteran, having enlisted in May 1861 at the age of twenty-four into Company G of the 9th Regiment, North Carolina State Troops. Penland was captured by the Union forces at Stony Creek, Virginia on December 1, 1864. He remained a prisoner of war at Point Lookout, Maryland for the rest of the war before being released on June 16, 1865. Following the war Penland returned to the Beech community, where he lived the rest of his life. 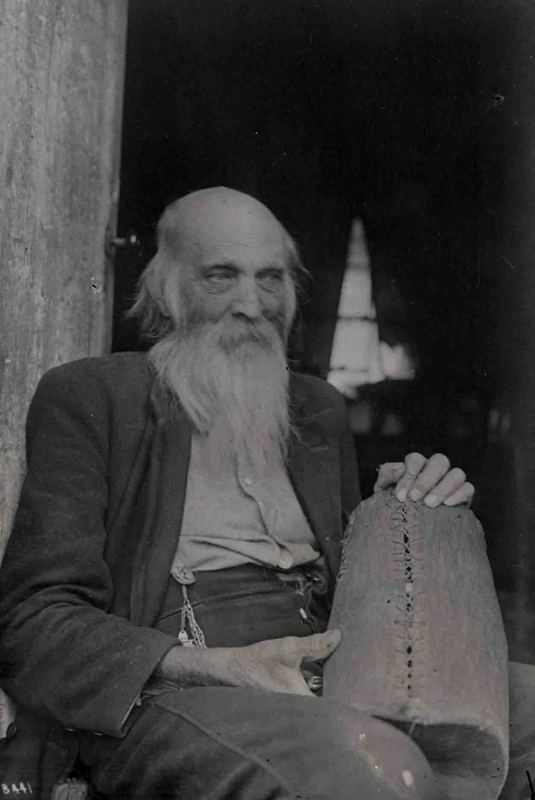 William Barnhill photographed Dave Penland and his bark baskets at his home in the summer of 1915. At the end of the photography session, Penland gave Barnhill a bark basket, the basket on display here. When asked why he chose to photograph Penland, Barnhill said that it was because he was intrigued by the process of making things. Dave Penland in his home. Beech, North Carolina, 1915.